Thousands joined those in Washington, D.C. and across the United States to march for women's rights on Saturday. 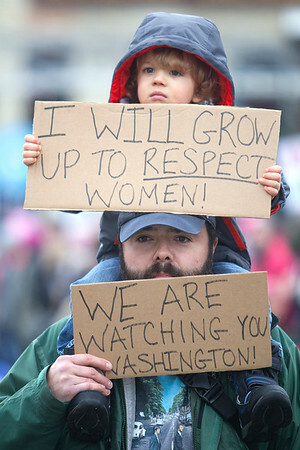 Andres Seidner holds his son, Elliot Seidner, on his shoulders as they march during the Women's March in Traverse City on Saturday. Andres Seidner and his wife have a newborn baby daughter and marched to support women's rights.